This 1969 Camaro Called Big Red Pushes Out 2000hp! Home / Automotive / Cars / This 1969 Camaro Called Big Red Pushes Out 2000hp! American Muscle might not be to everyone's taste, but this 2000hp Big Red 1969 Camaro tickles my happy spot. The chaps over at TheHoonigans on YouTube say, "This may very well be one of the most legendary car builds of all time," and I tend to agree. 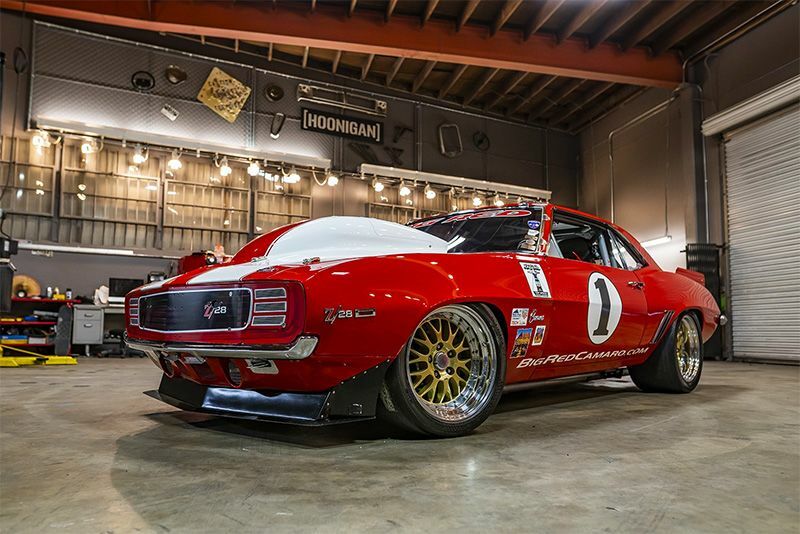 A chap named RJ Gottlieb visited them with his 1969 Pro Touring Chevy Camaro called Big Red. This very car started pro touring in the U.S. and has broken numerous speed records in its time. Which isn't surprising since it does over 260mph. It's almost a transformer with its ability to change from a track car to a high-speed racer and smashes hill-climbs too, it is an astounding piece of engineering. What's even more incredible was that the car was completely burned out in 2016, but it took the team just four months to rebuild and is looking to break the 300mph mark at Bonneville later this year. This is an unbelievable story, and Big Red is worthy of the iconic status bestowed upon it! Video: Chevrolet Camaro Ss Goes From 0-100mph-0 In Spectacular Fashion! Video: Idiot Teen Driver Crashes New Camaro Zl1 Into A Pool! Callaway's New 610 Hp Camaro Is Quite The Beast! The New Camaro 1le Will Eat The Shelby Gt350 For Breakfast! Video: When A Zl1 Camaro Is Too Slow For You. Add Some Booooost! Video: This Angry Guy Decided To Drive Over His Cheating Girlfriend's Car! Pops, Bangs and Crackle Map - Should You Get One? The 2020 Subaru Legacy Is Getting A Turbocharger... Again!